Repeal? Replace? Revise? 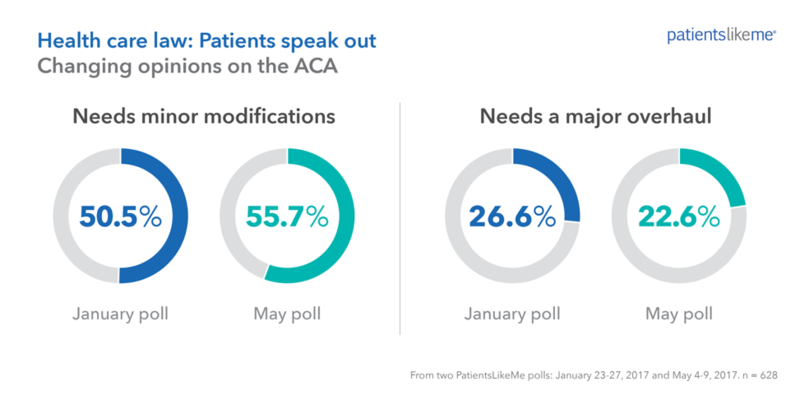 While politicians have spent months debating the details of a U.S. health care plan, a recent poll of 2,755 PatientsLikeMe members has found that patients are largely aligned about components of a strong plan for the country. 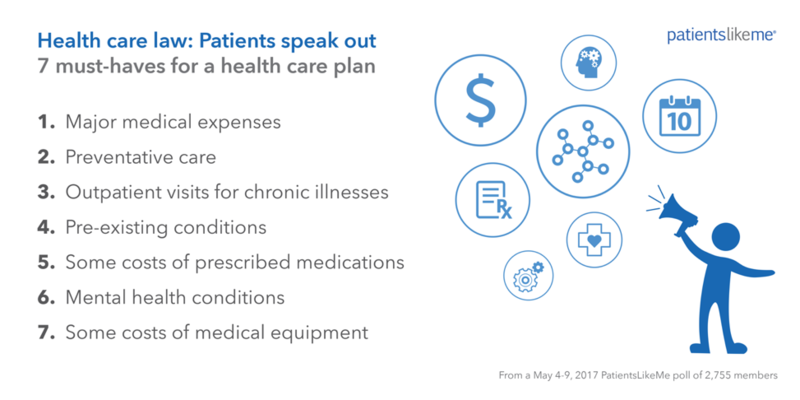 Patients with a variety of conditions and from all 50 states (plus the District of Columbia) participated in the poll May 4-9. The poll launched on the same day that the U.S. House of Representatives voted (217 to 213) to narrowly pass the American Health Care Act (AHCA, sometimes nicknamed “Trumpcare” or “Ryancare”), which would repeal much of the Affordable Care Act (ACA, or “Obamacare”). The AHCA bill is now with the Senate for deliberation, revisions and possibly a vote in the coming days. Here are some highlights from the poll’s findings and the latest trends in patients’ opinions. Should states have a choice? Nearly half (48%) disagree that states should be able to “opt out” of parts of a national health care plan while more than one-third (35%) agree with it. But only 22% agree that their own state should opt out. 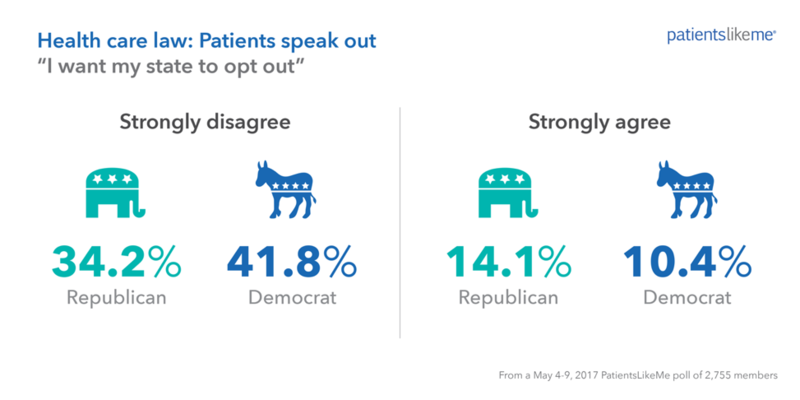 The strongest opinions about opting out were split along party lines, with more Democrats than Republicans believing states should not be allowed to opt out. Want to share the patient voice with your members of Congress? Click here to go to a “Take Action” page with 3 simple steps to spread the word about the poll results and add your own perspective.